Wonderware Historian Client is powerful analysis and reporting software that taps into your Wonderware Historian to put near real-time and historical production details in the hands of operators, engineers and operations managers. Generating real-time and historical data charts and reports has never been easier. Operators, engineers and decision makers can get an instant snapshot of what is happening during any industrial process. They can view and analyze reports and data trends on their desktop, laptop or web browser; through applications such as Microsoft Office, Wonderware InTouch HMI; or even through custom software clients. Extract insight from the data in your historian with Wonderware Historian Client data analytics software. Share your data securely with co-workers and systems, whether on the operations, control or business network. With Wonderware Historian Client, troubleshooting, self-service reporting and continuous process improvement become more effective. Enterprise-wide visibility into real-time data from Historian. Troubleshooting is faster, easier and more precise. Self-service production and performance reports are immediately shareable via email or the Web. Visualization, data management, analysis and reporting features complement each other to help you understand your processes better. Wonderware Historian Client integrates with Microsoft Office to deliver data-trend and analysis using Microsoft Excel and comprehensive data reporting with Microsoft Word. It enables users to publish real-time and historical information to the web or to your intranet site using Information Server. Wonderware Historian Client takes full advantage of Wonderware Historian redundancy capabilities. If the primary historian goes offline, the Historian Client automatically switches to a secondary historian. Once the primary historian is back online, Historian Client automatically switches back to the primary, without interruption to the user. To enable seamless integration within your enterprise applications, Wonderware Historian Clients have componentized objects that enable you to integrate powerful analytical and visual capabilities within your own applications. Wonderware Historian Client is built on Wonderware System Platform, which allows unprecedented scalability and functional richness in industrial applications. With System Platform users can build complete production and performance management solutions using a single, integrated development platform — saving time and development resources. Applications can start small and grow into a complete enterprise solution as required. A powerful library of component-based .NET and ActiveX control versions enables extension of the Wonderware Historian Client to custom applications. These components are highly compatible with Wonderware HMI InTouch and third-party container applications, such as Microsoft Internet Explorer and the Visual Studio development system. 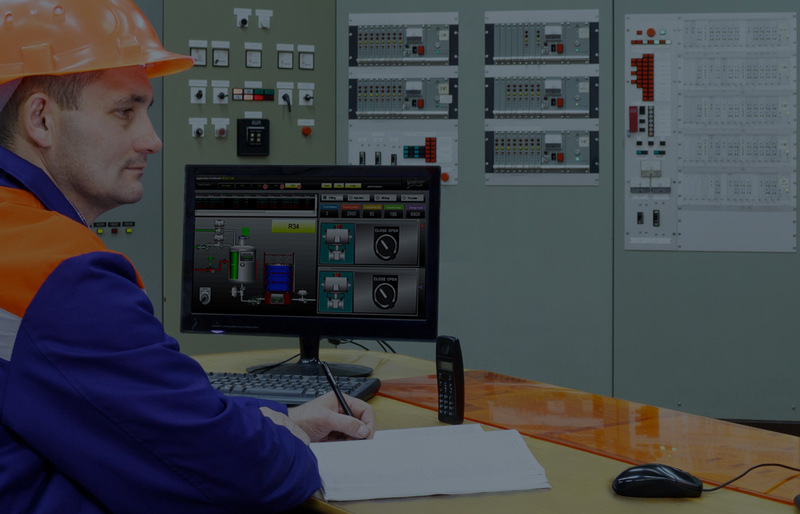 Peek into your production runs, batch runs, or other operations, using your own browser or other applications such as Microsoft Office, Wonderware InTouch® HMI or even custom software clients. Chart and format presentations like a pro. Understand the past, experience the present and even predict the future. Get to the root of problems faster. See improvement paths more clearly. Create custom SQL queries without SQL expertise; use in tandem with other Historian clients or as a standalone tool. Create queries in Microsoft® Word quickly. Put real-time and historical process data into the hands of all decision makers, including operators, engineers and operations managers; save and publish standard document formats, such as Microsoft Word documents and Excel workbooks. Publish trends, reports and workbooks using Wonderware Information Server via simple menu selections. Integrate into other applications, with a full library of component-based .NET and ActiveX controls for extending other applications; use C# and .NET for integration into control architectures. Fail-safe properties allow switchover to redundant Historian servers, automatically, at any time.